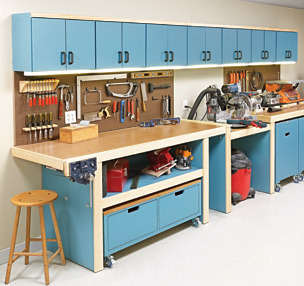 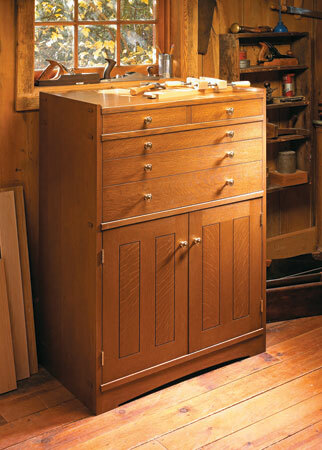 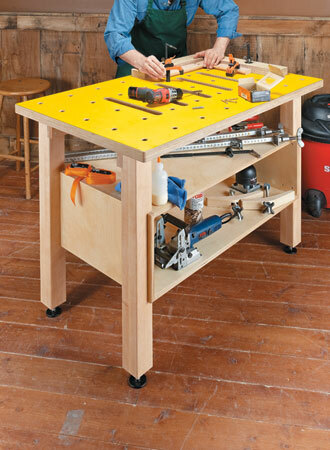 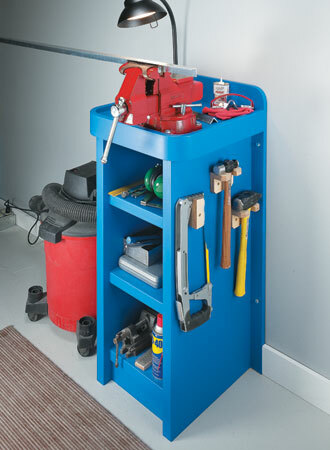 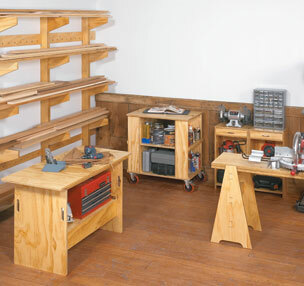 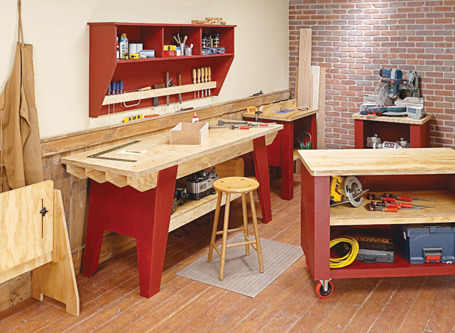 Unique construction and low-cost materials combine to create a versatile work area and plenty of storage in a compact space. 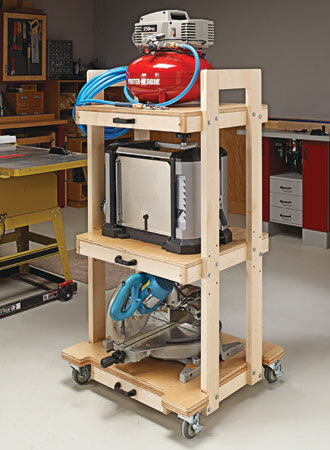 This handy project combines a large, flat worksurface with flexible clamping options and extra storage. 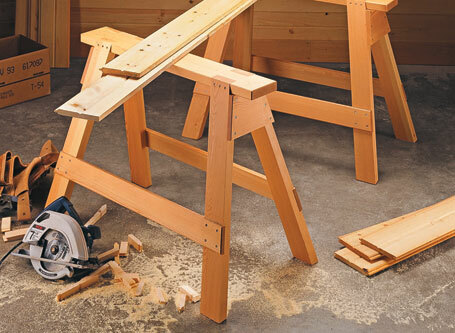 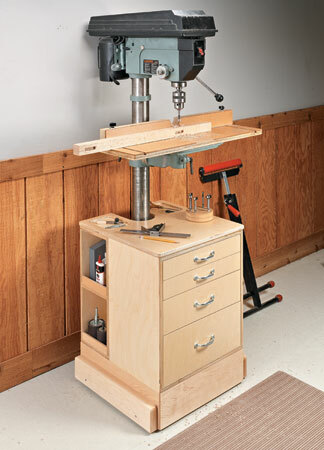 Designed to tackle the toughest tasks, this strong, stable, and easy-to-build stand is a great home for your bench vise. 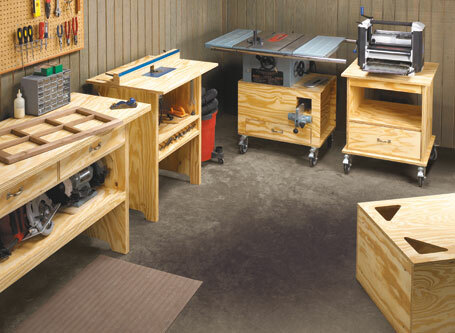 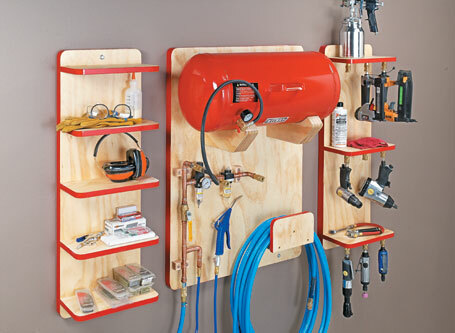 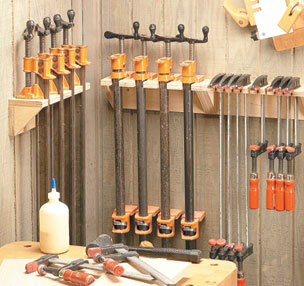 In just an easy weekend, you can build these must-have shop helpers that will last a lifetime.